Big battery. While focus is placed on a thin-as-possible line in many other smartphones, ZTE's Blade A456 sacrifices that for a relatively generously sized 4000 mAh battery. Our report reveals whether that also ensures a long battery life. Günstiger Einstieg in die untere Mittelklasse? 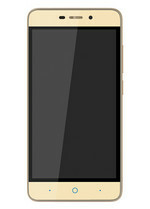 Model: The ZTE Blade A452 is a classy looking smartphone that is bang for the buck. With just 158 g and a thickness of just 9.25 mm, the device fits perfectly in hand even with the somewhat large display. The back panel is simple and bottom is perforated for sound to escape the speaker. There are several colors to choose; white, black and gold. 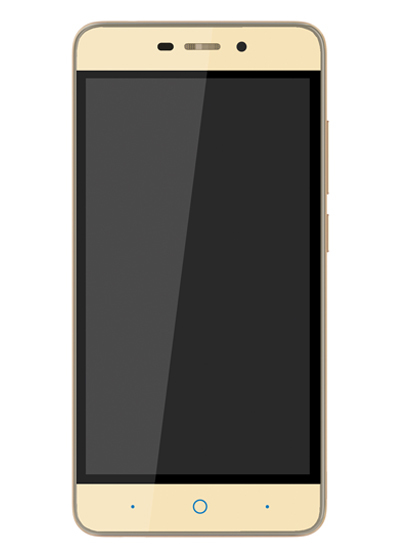 The dual-SIM device comes with a 5.0 inch IPS LCD touchscreen with 294 PPI pixel density. This allows for vivid and clear image quality, which is great for multimedia purposes. On-board is a Cortex-A53 quad-core processor clocked at 1 GHz, 1 GB of RAM and a Mali-T720MP2 GPU. Storage on the ZTE Blade A452 is 8 GB and the storage capacity can be expanded by 64 GB thanks to microSD support. There is a primary 8 MP autofocus rear camera and a 5 MP front camera. The Android 5.1 Lollipop system comes with Bluetooth 4.0, A-GPS, microUSB v2.0, and an FM radio module. Battery life on the device is provided by a non-removable lithium ion pack rated at 4000 mAh. Overall, the ZTE Blade A452 is a decent smartphone at low cost. ARM Mali-T720: Integrated graphics card in ARM based SoCs. Can be configured with up to 8 cores (T720 MP8) and 650 MHz core clock (at 28nm). Supports OpenGL ES 3.1, OpenCL 1.1, DirectX 11 FL9_3, and Renderscript. These graphics cards are not suited for Windows 3D games. Office and Internet surfing however is possible. » Further information can be found in our Comparison of Mobile Graphics Cards and the corresponding Benchmark List. 77.75%: This rating is not convincing. The laptop is evaluated below average, this is not really a recommendation for purchase.